Another study... sounds more promising! That is great news. Hopefully, this accidental discovery paves the way for a viable hairloss treatment. They should definitely try to tap into this find. Just like how makers of rogaine tapped into hairloss market by discovering that the minoxidil oral medication gave some folks a hairy tongue and increased hair growth. Minoxidil was then only an oral medication to reduce high blood pressure issues. Then they made a topical solution for hairloss and took a big piece of the market. Folks that discovered this find should get with the program and bring out some solution for consumers (and to be the forst to do so). It is always nice to see these news headlines where a possible hairloss remedy is found, but they should definitiely try to set up a team to see of they can make their find a safe product for human use. Thanks for sharing. Another study done with lab mice ! Whatever results they found in mice rarely translate to humans. It is a welcoming research. But unfortunately it doesn’t get a viable treatment any closer. It is one of many pieces of a puzzle. And even this therapy to bring into application would take 10+ years. That about sums it up, I’ve been reading these boards for almost a decade, and it’s the same cycle, again, and again, and here we are with no hairloss solution, but we sure do have a lot of “promising” studies. I think when they make these hasty announcements about potential cures, what they’re failing to take into consideration is that the thing they’ve discovered may be “necessary but not sufficient” to regenerate terminal hairs. The problem is that DHT, interacting with genetically sensitive follicles, causes a cascade effect that completely screws up the metabolism of the entire follicle and all its cell types. Just restoring a single element of all this back to its original conditions isn’t going to solve the problem. You have to restore ALL of the elements together. That’s why, to my mind, the real answer lies in the research that seeks to build brand new follicles from the ground up. George Cotts was involved in the study. He has spent years and years study hair loss and wound healing but no progress for humans. @superhl Where does it say Dr. Cotsarelis was involved in this study? It actually proves that hair growth and cycling of terminal follicles is even MORE complicated than we thought. 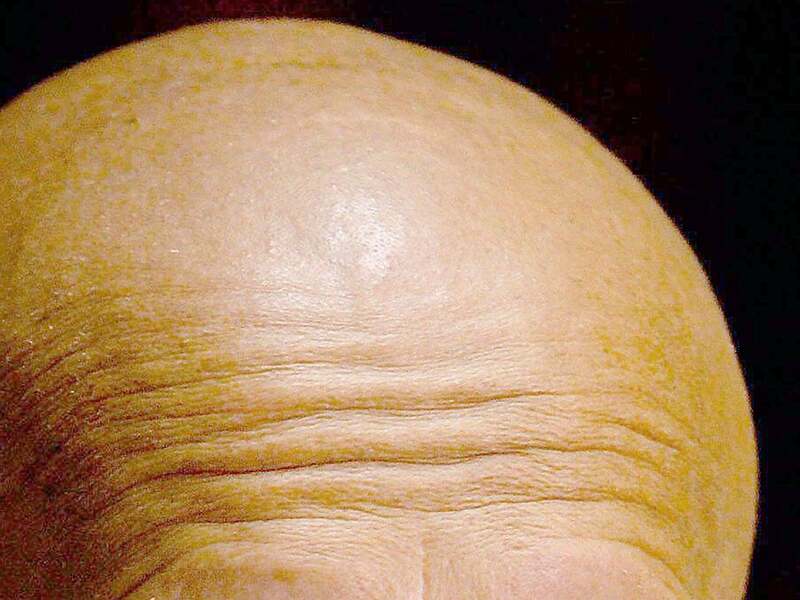 This may not be such a great thing, in terms of efforts to regenerate miniaturized hair follicles to cure baldness. Why? Because it adds a new wrinkle, and it’s a BIG one. This probably explains why Aderans, Intercytex, Gho, etc. have failed in getting reliable and consistent growth and being able to develop a marketable cell-based hair regeneration treatment. It seems that a whole population of essential cells was being ignored because they had no idea these cells were needed to induce proper terminal growth. It’s not like these cells are optional. Rather, this discovery indicates they’re essential. So, to the extent that we don’t have these Tregs cells near our follicles at the proper time, even injecting inductive DP cells or stem cells is not going to help much. It may help a little, but it’s not guaranteed to rejuvenate these follicles. From the diagrams and descriptions of the work, the Tregs are NOT part of the follicle, but rather, reside adjacent to the follicle, surrounding it, and send chemical signals to the HF stem cells to keep them activated. This is the first time we’ve seen a population of cells that is NOT native to the follicle, but which is required for the follicle to work properly. However, it raises a question: How to hair transplants work, then? Presumably the Tregs would be negatively affected by circulating DHT (they are somehow genetically DHT sensitive). But in hair transplants, healthy follicles from the back are moved to MPB affected areas. Tregs cells surrounding the follicle are NOT moved. If the Tregs cells in balding areas are missing then could transplanted donor follicles induce new Tregs cells to surround them? A lot of very complicated questions are raised here. Obviously, HT works, so somehow transplanted follicles must have the proper amount of working Tregs cells surrounding them. If this is true, and Tregs cells are needed to make terminal follicles work in humans, it probably means that efforts like Dr. Kemp’s, to rejuvenate or regenerate miniature MPB follicles will be even more difficult than anyone, even he, predicted. Ideally then, if he wants a viable cell injection based treatment, he’d have to replace not only DP cells, but also Tregs cells. But this is complicated by the fact that the injected Tregs cells probably will not stay in the area for more than 1 generation. Why would they? In vivo, there are probably some kind of Tregs progenitor cells, cycling to continuously produce new Tregs cells in the area. So, just injecting Tregs cells would probably not reestablish this regenerative cycle of creating new Tregs cells on a regular basis. I may be wrong about this, but I suspect this MIGHT be true. Question: Dr. Cotsarelis found that in balding areas, HF stem cells are still present in normal numbers, but they are not activated. They are dormant. How about Tregs cells? My understanding from the study is that they are not just hanging around in an inactive state; they are actually gone. Is this true? Maybe @PKemp or @James_Bond have some ideas about this? Interesting study. But just as we heard about hair multiplication being in the works many years ago, it seems that these “solutions” are ways away. One can only hope. Incredible results from a Repairing donor hair depleted patient using Dr.UGraft in order to improve baldness and signs of strip scarring. If you are connected with a HT doctor or clinic, please go away. HairSite has informed us that this Hair Multiplication forum is not intended for posting hair transplantation related news, announcements, or advertisements. Several HT clinics, like one in Houston and another in Turkey, were abusing this forum and posting their promotional material. If you represent a HT clinic in any way, this forum is not for you.